First step into this direction was an event called Goldrausch - gold fever. Visitors were invited to bring their old silver or gold items and melt a nugget by themselves. Once a client came and sought advice about what to make out of her preloved gold. She didn't want to sell it, as it had belonged to her grandma, but she could not wear it. I remembered gold fever and asked her to make it to a heart shaped melted nugget. 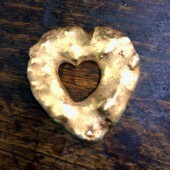 The result was a beautiful little golden heart, which my client loved. Meaningful Heart jewelry is usually a pendant to be worn either on a necklace, sometimes as a charm, a brooch or key holder. It is melted from old pieces of jewellery. Pieces with strong memories attached, but not wearable because of shape or constitution. The result of the melting process is a heart shaped pendant, solid gold, with a smooth or rough surface, depending on the customers wishes. It is still full of emotions and memories and it is without fail the e.g. wedding ring of grandma. There exist a lot of jewelleries carrying memories. They have become old-fashioned since, but are too special to be sold and are tucked away in the jewellery box. 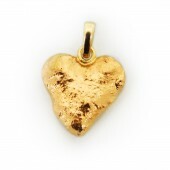 As a Heart of preloved gold the jewelleries can be worn. In a new look, but the material still carrying the memories. It is much more cost efficient than buying something new. The only money to be paid is for my work. And, my benefit: I love this special glance in the eyes when the customers pick up their completed jewelry. The gold has to be analyzed, to make sure it is gold. Thereafter it will be arranged in a heart shaped form on my melting place. I put the fire on it and heat it up all-over till it starts melting. With a little stick the fluid gold can be arranged. Then I cool it down in some water. Then I polish the surface to a smooth or rough finish. If there is a piece of jewellery which should stay untouched, I construct a wire or panel, to get a heart shape, with the precious untouched piece e.g. inside. Depending on the amount of material a melted heart measures approx. 5 mm to 5 cm in diameter. It is above-mentioned to have a rough melted surface. The pieces consist of preloved gold or silver and of diamonds or precious stones which were part of the jewelry melted for this project. 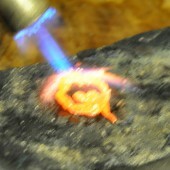 The material of the pendant is 100 percent recycled gold or silver. The environmental savings: No new material has to be mined. All of it is already there and usually at least 20 years old. There is a saving of poisonous chemicals, which are usually required in recycling gold. These chemicals are not needed in my process, as the gold is only re-shaped. The challenge in this project is to recognise the ideas of a person, not used to think about the shape of a jewellery and reach this ideas so that the customer feel Yes, that's it. The second challenge is to create a design which is close resembles a love heart, while avoiding to bee cheesy or appearing too chunky. 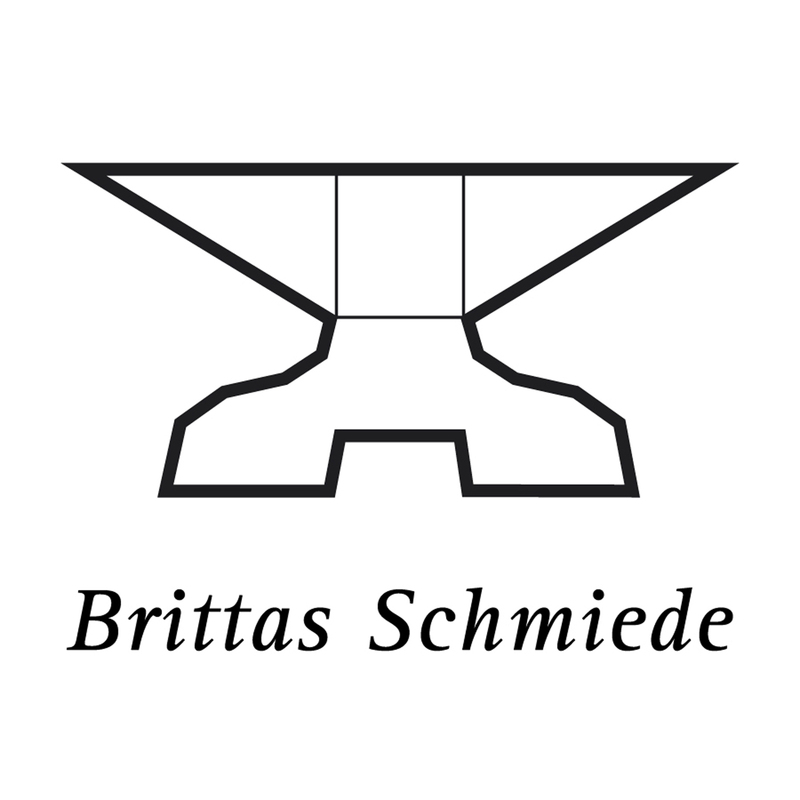 Britta Schwalm is specialized in making jewellerydesign in customer request and up cycling. Up cycling means to give an old piece of jewellery a new shape, a new function - a new meaning. It is more than adaption. To find the new meaning, you should know the previous worth of the piece. Meaningful Heart Jewelry Concept to Perpetuate Emotions by Britta Schwalm is a Nominee in Jewelry, Eyewear and Watch Design Category. Meaningful Heart Jewelry Concept to Perpetuate Emotions by Britta Schwalm is Winner in Jewelry, Eyewear and Watch Design Category, 2016 - 2017. 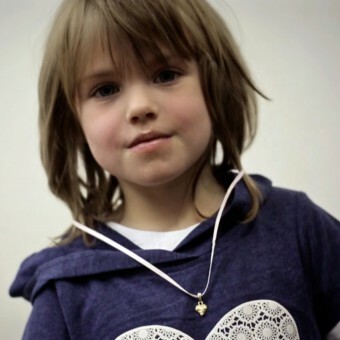 · Read the interview with designer Britta schwalm for design Meaningful Heart Jewelry here. 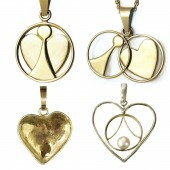 Did you like Meaningful Heart Jewelry Concept to Perpetuate Emotions? Help us create a global awareness for good jewelry design worldwide. Show your support for Britta Schwalm, the creator of great jewelry design by gifting them a nomination ticket so that we could promote more of their great jewelry designs.